Patient had large breasts and excess abdominal and flank lipodystrophy (fatty tissue) and desired a more petite figure. Dr. B performed an abdominoplasty, liposuction, and a breast reduction giving her smaller and more lifted breasts with more aesthetically pleasing curves. Patient wanted a better defined abdomen like she had prior to having children. She underwent a tummy tuck and additionally a breast augmentation at the same time which created more pleasing curves and the better abdomen defined she desired. Patient wanted a better defined abdomen like she had prior to having children. She underwent a tummy tuck and additionally a breast augmentation at the same time which created more pleasing curves and the better defined abdomen she desired. Patient had extra skin and adipose tissue (fat) to her lower abdomen, thigh, and buttock region and desired body contouring to correct this. An abdominoplasty, liposuction of her hips, thighs, and abdomen, and a buttock-thigh lift were performed. The combined procedures gave patient a much more flat abdomen and thinner hips and thighs with much better contours. Patient had extra skin and adipose tissue (fat) to her lower abdomen, thigh, and buttock region and desired body contouring to correct this. An abdominoplasty, liposuction of her hips, thighs, and abdomen, and a buttock-thigh lift were performed. The buttock-thigh lift combined with the liposuction gave her buttock a much more lifted and sculpted appearance. After having children, patient desired her tummy to look closer to her pre-baby appearance. Dr. Barttelbort performed an abdominoplasty in order to achieve the rejuvenation that she desired. Patient additionally elected to have contouring liposuction and a breast lift done at the same time, giving her much more aesthetically pleasing curves. 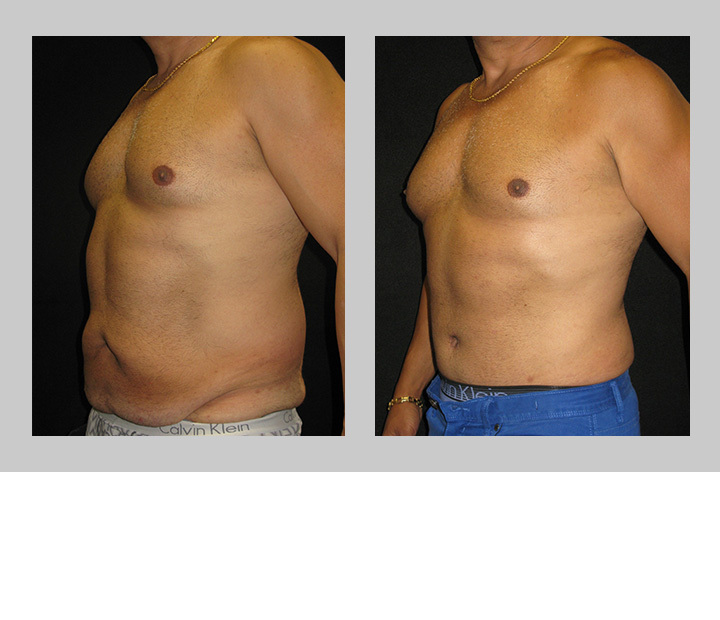 Patient presented with extra skin and adipose tissue to his abdominal region and desired rejuvenation. 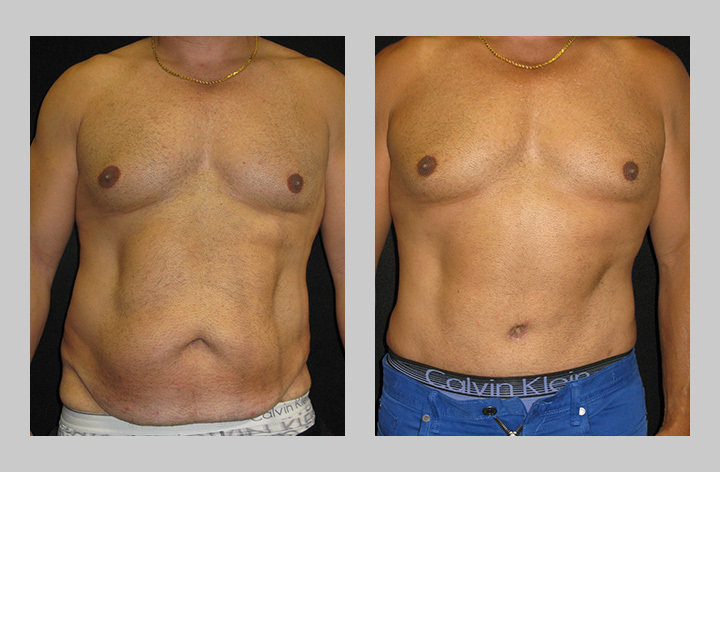 Dr. Barttelbort performed an abdominoplasty and contouring liposuction giving patient a much more fit appearance.